Application deadline is Thursday, March 1! 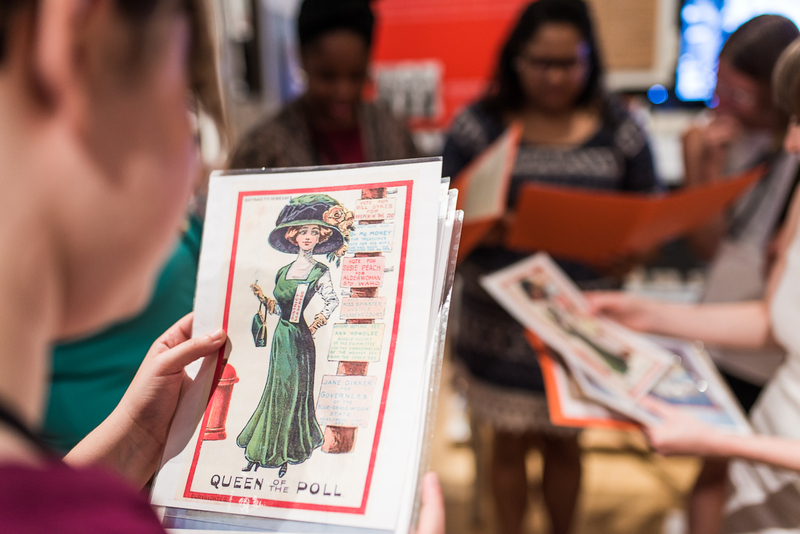 This two-week summer institute will convene 30 teachers of middle and high school students in an exploration of the intertwined histories of the abolitionist and woman suffrage movements in the United States. NEH Summer Scholars will work with prominent scholars in the fields of U.S. history, African American studies, women and gender studies, and law, including Deborah Gray White, Manisha Sinha, Judith Wellman, Julie Gallagher, Martha Jones, Prithi Kanakamedala, and Wanda Hendricks to explore a rich array of primary sources and historical scholarship on view at both institutions. Over the course of the two-week institute, teachers will learn new narratives about these seminal movements in American history and the connections between them. In light of upcoming important anniversaries for both the abolition and suffrage movements, participants will also learn ways to connect past with present using the lenses of race, gender, and class to unpack inequities and injustices that continue to challenge our nation. Any views, findings, conclusions, or recommendations expressed during this program do not necessarily represent those of the National Endowment for the Humanities.